While the primary role of a sponsorship agreement is to document the ‘deal’ arrived at, the process of negotiating and finalising the agreement sometimes also irons out the parties’ understandings, which may have previously been inaccurate or incomplete. Therefore, a well conceived negotiation process can play an important role in a mutually satisfactory outcome. Broadly speaking, a sports sponsorship agreement could be a sponsorship of an individual sportsperson, the sponsorship of a team/organisation and the sponsorship of an event. Though some details will differ, there is a significant overlap in the key issues to be considered. Negotiating a comprehensive sponsorship agreement requires attention to detail, commercial awareness and knowledge of contract, intellectual property and other laws. The anatomy of the sponsorship agreement under question will depend on the nature and purpose of the proposed transaction. Having a well thought through and carefully drafted sponsorship agreement, which contains comprehensive rights and obligations of both parties, can help parties understand the deal with certainty and to evaluate their options and continuing rights without dispute or further debate. That said, it is possible that circumstances change and relationships sour and it is important that there are also clear and accessible dispute resolution mechanisms in place to resolve irremediable disagreements. This article attempts to provide a simple primer to the typical structure of a sponsorship agreement. It outlines some of the key provisions that ought to be documented and their basis, it being understood that ultimately each agreement will likely deviate from this structure and substance based on commercial and other context. Parties – Every contract, including a sponsorship agreement, should clearly identify all parties to the agreement along with their individual/corporate status, any other identifying information and their registered or mailing addresses. This is usually set out at the beginning of the agreement. This is of particular significance in multi-party agreements that include an intermediary (such as a player agent or marketing representative) as this forms the basis for structuring the relative obligations and responsibilities of the parties among themselves. Definitions and interpretation – Most contracts will set out a list of definitions in order to establish or clarify the meaning of important terms in the contract. As the terms defined in this section appear throughout the contract remainder of the contract, they are usually capitalised. This should prompt the reader to cross-check the meaning of the word in the definitions section each time it is used in the agreement as the entire meaning thereof, with limitations and exceptions, is imported into the provision in which it is used. Term – This provision will describe the duration of the Agreement, i.e., the length of time that the parties agree to be legally bound. The term is usually the length of the tournament or event, or alternatively, a specified number of months or years. It should be noted that while the sponsorship agreement will cease at the end of the Term, there are usually a number of provisions that will survive the termination or cessation of the contract (for example, confidentiality clauses, ‘cooling- off’ periods, etc.). It is possible that there could be an initial term, which could be renewed via one or more mechanisms, including the notification of one of the parties, the mutual agreement of the parties and so forth. In the case of the extension, the extended term is considered the term of the agreement. Consideration – The section on consideration must clearly indicate the nature, quantum, method and schedule of payments (i.e.,sponsorship / licensing fees and / or royalties, cash or value-in- kind, a lump-sum payment or instalment payments, whether there will be a minimum guarantee, etc.). It should also clearly indicate what interest rate will be applicable in the event of late payment. Categories – This provision describes the sponsor’s product or service categories that will be endorsed or may be associated by virtue of the sponsorship agreement. The proper definition of this category also has an impact on the scope of the sponsor’s exclusivity (a common sponsor demand). It is important to accurately define the category as, potentially, there may be myriad sub-categories to be sponsored within a general category, each capable of exclusivity. As illustration, it is possible for the same entity to be sponsored by a mobile service provider, a manufacturer of mobile phones and a manufacturer of mobile accessories and yet provide each of them category exclusivity. Rights and Exclusivities – It is difficult, if not impossible, to summarise in a general sense what rights will be conferred on a sponsor under a sponsorship agreement. For instance, only a beverage manufacturer can ask for and be granted pouring rights at an event, or a hospitality provider can request exclusive serving rights in a stadium. Suffice to say that it is extremely important that the sponsor considers in detail the benefits it wishes to receive and the party granting these rights understands what it is granting, and that these are documented with as much specificity and detail as is possible. Prominently, sponsorship rights may include: pouring/serving rights for a beverage/hospitality company; rights to individual player appearances and endorsements; rights to player images; rights to use logos and general sponsorship designations such as ‘Official Sponsor of XYZ’; promotional and advertising rights across media; rights to display logos on team and replica apparel; rights to name the team or the event (e.g., ‘DLF’ IPL, ‘Airtel’ Champions League Twenty20); rights to branding and visibility at venues (including perimeter signage); rights to match tickets; rights to in-stadium hospitality; on-air rights, etc. It should also be made clear in this section of the agreement whether the rights granted are exclusive in nature. For instance, is Company A the only Company whose logo will appear on the team jersey? If so, this exclusivity must be noted in the contract. Prior to finalising sponsor entitlements, the party granting rights must also determine that it indeed has the rights to grant these to the sponsor in all respects. The rights that may be granted are often subject to the sponsorship guidelines (e.g., IPL sponsorship guidelines), governing body rules (e.g., ICC Squad Terms for players during World Cups) and general law (e.g., limitations on alcohol and tobacco advertising), as well as other applicable limitations. Right of First Offer, Right of First Refusal and the Right to Match: These are a variety of provisions that encourage the parties to continue their relationship beyond the original scope, term or territory. By virtue of legal precedent, the rights of the sponsor to make a first offer (before any third party does), to have the right to match a third party’s offer or any other similar right must be enjoyed during the term of the agreement and not post termination of expiry thereof. While biasing the parties to continue their relationship, provisions of this nature allow the sponsored party to go to the market for an independent financial valuation. These are often hotly-contested provisions in a sponsorship agreement as they somewhat limit the commercial behaviour of the sponsored party in the future. At the same time, they can be valuable to sponsors that would like to establish longer term relationships and to sponsored entities that are not locked-in to long term commercial terms with sponsors that are looking for long deals. Intellectual Property – This provision generally grants the sponsor a limited right and license to the sponsored party’s intellectual property (logos, trademarks, player attributes, etc.) and also sets out the fact that each party will respect the trademarks, other intellectual property and proprietary interests of the other party. It is a standard provision in all sponsorship agreements and must be carefully scripted to avoid ambiguity on its substantive scope in the future. There must also be clarity on the ownership status of the intellectual property that is created during the tenure of the relationship, whether individually by either party or jointly by the parties. Undertakings – This section is important as it details what the contracting parties agree to do to honour the agreement between or among them. For instance, if Person A contracts with Company A, it would be in Company A’s interest to ensure that Person A does not endorse Company B’s products (if Company B is a direct competitor of Company A). Most sponsors specify a list of their competitors at the time of drafting of the sponsorship agreement. As such, this section of the contract will typically constrain the individual or organisation from endorsing, directly or indirectly, the products of a competitor (or its subsidiaries). 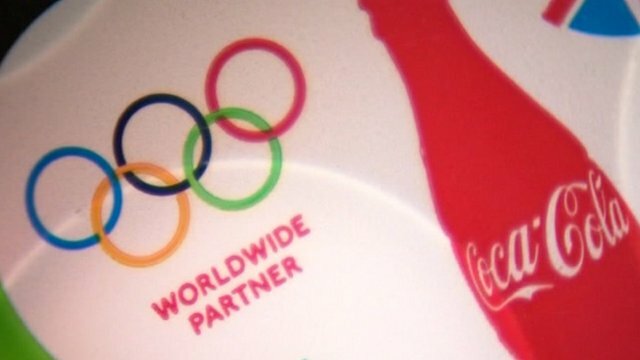 One occasionally hears of controversies where a famous performer or athlete is filmed or photographed wearing a competitor’s brand name, or consuming a soft drink from a rival company. These types of indirect endorsements are exactly what sponsor companies would like to avoid by carefully considering the undertakings section of the contract. Just as the above provision outlines a number of undertakings for the individual/organisation, it is also in the other party’s interest to ensure that the sponsor company honours certain obligations under the contract. Usually these will include terms such as not publishing any content, photos or advertising materials featuring the individual or organisation without their prior consent, not publicly commenting on the relationship without the other party’s consent, not using the other party’s logos and marks beyond the scope of licenses granted and other terms that help the parties maintain mutual respect and properly bind the scope of their relationship. Impairment – It is often understood by the parties that sponsorships are a dynamic space and that circumstances can change making delivery of all the committed rights and entitlements impossible or unfeasible. To this extent, parties often negotiate provisions with respect to impairment of rights that they could but do not necessarily want to make the basis for contract termination. These provisions often provide the opportunity for renegotiation of benefits/fees and/ or the substitution or equivalent benefits for those not delivered or incapable of being delivered. Often, a third party agency may be relied upon for valuing the relative delivered and undelivered benefits and the value of substitute benefits. The breakdown of this process and/or the inability or unwillingness of the parties to mutually agree on impairment remedies may ultimately be a basis for termination of the agreement. Termination and its consequences – Every contract will usually set out under what circumstances it can be terminated prior to the expiry of the term. That is, a contract will generally come to an end when it is considered to be fully performed, or when it has come to the end of its Term. However, usually if there is a material breach of the sponsorship agreement, the party which breaches the agreement may be considered to have defaulted on their promise. Accordingly, the other party may be in a position to terminate the contract at their will. This may arise if the sponsor does not make a payment when it falls due, or if the party granting the rights does not properly deliver these rights to the sponsor. It is important to lay down the consequences of termination. Often, the consequences include proportionate payment or refund of the sponsorship fee. Depending on the materiality and circumstances of the breach (such as cancellation of the event), parties may even agree on a full refund. With respect to failure to pay sponsorship fees or royalties, a money suit is often the only available remedy after termination. In other cases of substantive deliverables, specific performance may be an alternative to be explored prior to termination. (b) Indemnification: Parties will generally agree to indemnify the other party for any loss that may occur due to their own negligence, due to inaccuracy of their representations and warranties, or due to their acts of omissions. Indemnification is a key contract remedy and the scope and procedures for indemnification must be carefully set out. It is also common to limit indemnification for direct (rather than remote) losses and damages and/or to put a commercial cap (e.g., the total sponsorship fees payable) on the indemnification obligation of a party so as to limit its total potential liability under the contract. (c) Dispute Resolution: This provision will outline how the parties wish to resolve a dispute that may arise out of the contract at some point in the future. Common dispute resolution clauses refer such matters to negotiation, conciliation, meditation, arbitration and litigation. It is common to specify the rules governing each of these and the seat of arbitration, if that is the chosen remedy. (e) Assignment and Change of Control: This section will generally state that the rights afforded under the sponsorship agreement are personal and that they may not be assigned to a third party without the other party’s prior consent. Similar provisions relate to continuance of obligations when the other party undergoes a corporate change of control. This is to ensure that a party is not forced to interact with someone they had not originally agreed to work with. However, it is also common that sponsors retain the right to assign without consent in order to retain flexibility of their operations. (f) Confidentiality: Confidentiality is a standard provision in sponsorship agreements. Parties will agree to keep most finance-related and contractual dealings strictly confidential between them subject to a few standard exceptions. This is on the understanding that the parties will often be in a close relationship where lots of non-public information is shared between them in the course of their dealings. As described above, sponsorship agreements are usually long and complex (as are many legal contracts). However, it is important that a thorough and detailed contract be drafted so as to capture all of the relevant rights and responsibilities of the parties in one document. Despite the apparent complexity of some sponsorship agreements, it is of fundamental importance that all parties are aware of the key provisions in the Agreement. As such, having a sound understanding of the anatomy of a typical sponsorship agreement can be of great value when negotiating or interpreting such an agreement.